This building was erected at the suggestion & unceasing beneficial exertions of George Halfhide Esqr. Anno Domini 1826. We think Whittingham's first name might be given as Rob. or ?ch. but it's lost in shadow. And there might be a fourth Overseer, or not. We believe the plaque is for an extension to the workhouse but it's not telling. Brought to our attention by a post on the magnificent London Street Views about the seal engraver George Halfhide and his business in Coventry Street. We would never have come across it during our street searchings. 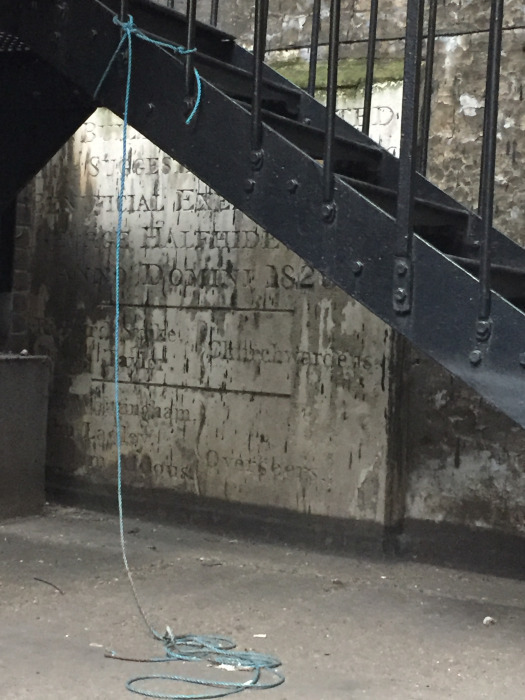 This plaque is in an area behind the buildings on the east side of Marshall Street, behind the housing block "City of Westminster Dwellings No 20". The area it's in can be accessed via the modern ornate gates just to the right of this block, marked for numbers 16-18, but they are generally locked. Old maps show the workhouse occupying a complex of buildings stretching from Poland Street across, almost, to Marshall Street. 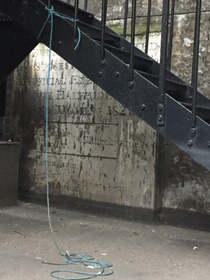 The plaque is in an almost inaccessible location behind a fire escape. We thank London Street Views for allowing us to use their close-up photo which is better than any that we took. Co-overseer of the Westminster Union workhouse in 1826.
in 1826 co-churchwarden of a church in Westminster.